Despite repeated government efforts to stimulate the Chinese economy, the country’s animal spirits remain depressed. 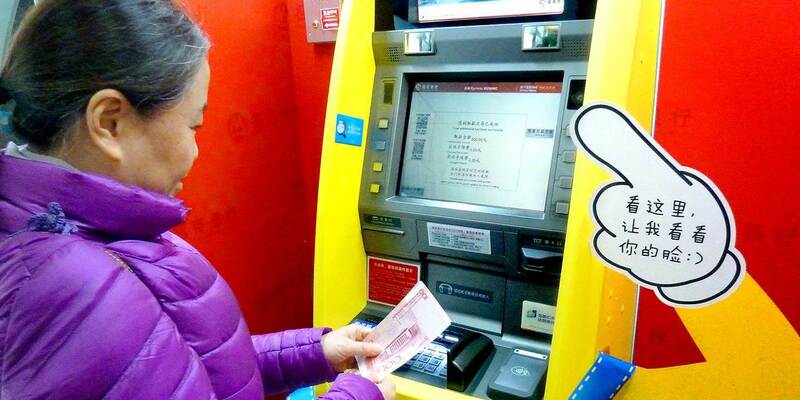 And the unexpected reason for this may be the automatic exchange of financial information between the world’s major economies, which is allowing the Communist Party of China (CPC) to learn about the bank accounts that Chinese residents hold overseas. This exposure has effectively transformed wealthy Chinese families’ financial lifeboats into torpedoes aimed back at them. Worse yet, President Xi Jinping’s anti-corruption forces can fire these weapons whenever they wish. The resulting anxiety is most likely contributing to China’s economic slowdown. The sad irony is that the torpedoes were armed by the Paris-based OECD – the club of developed countries that see themselves as committed to democracy and a market economy. By introducing the Common Reporting Standard (CRS) as a way to reduce tax avoidance, well-meaning Western technocrats have unleashed a program with potentially dire long-term economic consequences for China, and for several other countries, too. These technocrats should have felt more sympathy for those who, unlike them, live under an illiberal regime. At a time when president-for-life Xi is becoming ever more assertive, and the CPC is building a centralised database to underpin a “social credit system” that will monitor the behavior of all Chinese, it is no surprise that the study app for “Xi Jinping Thought” is reportedly the most downloaded on Apple’s Chinese App Store, ahead of even WeChat. Under the illiberal regimes of the past, this would have triggered a deluge of jokes. But not anymore, because the CPC’s use of artificial intelligence and social media gives it a level of control over its subjects that no dictatorship has ever achieved. The Chinese know well that whatever they might gain through their industriousness is essentially only a temporary, revocable loan from the CPC, as the recent experience of Alibaba founder Jack Ma has highlighted. Sensible Chinese entrepreneurs therefore saw it as a duty to themselves and their families to stash some of their wealth overseas. Tens of millions of Chinese residents hold an estimated total of well over $1 trillion in undeclared assets abroad. They now face the nightmare of being treated like criminals, as the Chinese authorities may use the information received from foolhardy Western governments as a tool of repression. What the OECD’s technocrats missed is that tax avoidance was rarely the main motivation for individuals hiding money abroad. Most wanted to diversify their risks by hiding some of their wealth in safer jurisdictions. Privacy is crucial for those who live under capricious regimes or are potentially exposed to kidnapping or extortion. The freedom to choose in which country to hold one’s savings has a deeper meaning than plain financial diversification. Most of all, these Chinese residents wanted to gain the very freedom that their government denies them – including the right not to have their destinies entirely tied to those of the country where they live. With its misguided CRS crusade against tax avoidance, the OECD is following the bad example set by the United States with the Foreign Account Tax Compliance Act (FATCA). Introduced in 2010, FATCA has had estimated implementation costs of at least $60 billion, and has reduced tax revenues outside the US by some $10-20 billion. The US government, meanwhile, has recovered only about $11.1 billion in taxes (or 0.2% of its yearly tax revenues) through fewer than 57,000 voluntary disclosures, which cover resurfaced assets equivalent to about 0.1% of US households’ net worth. These embarrassing and rarely cited figures make it clear that FATCA was enacted in response to outrage over a non-existent problem. The new vulnerability of Chinese residents should make it equally clear that using anger at tax avoidance to curtail people’s right to protect themselves – or at least part of their capital – from the uncertainties of their home country is morally wrong. It is also fiscally irrelevant at best. Residents’ overseas savings are already subject to withholding taxes in the countries where they are ultimately invested. Because taxes withheld in this way usually become tax credits in the saver’s home country, their government may well end up recovering a negative net amount of taxes after the costs of operating the cumbersome new regime are taken into account. It is easy to dismiss the impact of CRS on wealthy Chinese as simply a problem for the rich. And most of the comments under one of the few news articles about the issue exude frightening xenophobic schadenfreude,rather than compassion for economic fugitives from a repressive regime. That stance is both morally alarming and economically short-sighted. Sinking these Chinese entrepreneurs’ lifeboats may prove deeply demotivating, with potentially significant adverse effects on economic efficiency and growth. If that happens, China’s 1.4 billion people would not be the only ones to suffer. *Antonio Foglia, a board member of Banca del Ceresio, is a member of the Global Partners’ Council of the Institute for New Economic Thinking. Copyright: Project Syndicate, 2019, and published here with permission. Great article about the law of unintended consequences. I'm not going to lose much sleep over this one. If you embezzled and you get caught, why should we be worried? This hot money washing up on our shores has caused us enough problems. The money was not necessarily embezzled. It could have been earned legally in China and used to buy assets outside of China because the money is safer there. But the CPC may well go after legal and non legal money. Think you missed the point, they can't go after legal money. Having spent years in China I am well aware most of it is illegal. Mrs the point misses the point. exposure has effectively transformed wealthy Chinese families’ financial lifeboats into torpedoes aimed back at them. Unintended consequences, indeed. And we are all part of it: we have our very own Good Intentions Paving Company (2017) Limited to work through in Godzone. I assume the Banca del Ceresio has some of these funds held as deposits ? I'm struggling with this one. On one hand, I have to deal with FATCA and the annual FBAR forms (just submitted seven forms yesterday), and am more than slightly annoyed with the requirements for filing. On the other hand, I'm happy to see the folk that use overseas tax havens to hide tax payments get caught. As for China, I'm in favor of allowing the country to enforce their laws on their citizens, just as I am in favor allowing the US to enforce their laws to catch the miscreants that use overseas tax havens to avoid their tax payments. If the said government was using the information to support a fair tax system, then you were 100% right. But if the government is using the information to confiscate private wealth, or to coerce people into submission to their will then that is wrong. You seem to assume that any government has legitimate claim to governing its people, regardless of the degree of their commitment to being accountable to their own people, how they assume the mantel of power, the degree of the government commitment to rule of law (in many dictatorship, the government is by far the biggest criminal) etc. So, if the information helps strengthening the government position, then it is harmful. Perhaps you have not read about how China and CCP represses its population by imprisonment, torture and other activities. They have imprisoned thousands of Falun Gong supporters for practising peaceful meditation and acoridng to various human rights organisations like Amnesty International tortured and executed these people, even harvested and sold their body organs. Or of the 500,000 Uighurs locked up in NE China in various concentration camps or that Mao in his day killed 10's of millions of Chinese or Tiannenman square shooting thusands of unarmed civilians. Other than that the Chinese goverment should be trusted and is not a totaliarian regime. Perhaps you are a paid person to put pro china comments into forums like these. Interesting logic. Because I believe in the rule of law I must be pro China. If the Chinese were pursuing funds from a persecuted group I would see how the laws were being misapplied. I'm well aware of the oppression that occurs within china. That doesn't invalidate that the Chinese govt should be able enforce their laws upon lawbreakers. To be sure, I've no love or even like, for the Chinese govt. I seriously dislike many elements, there are far more serious issues than the few items you list. That doesn't mean that I think that their citizens should be immune to enforcement of their laws, especially the laws pertaining to money laundering. If the Chinese citizens had such an issue with their government, they could emigrate, get a new citizenship, and renounce their Chinese citizenship. That almost never happens, which suggests that the status quo appears acceptable, despite the many shortcomings and even atrocities committed by their government. Good to see someone questioning the wisdom of mass state surveillance. Politicians are somewhat subject to feedback from their constituents (if they actually have them, unlike here where we have foolishly allowed half of them to be Party appointments free of any requirement to answer to actual citizens at all. Allegiance to current Party Groupthink is the only requirement, ie the ability to mindlessly follow orders from their superiors in the hierarchy). International bodies are free to pursue command and control strategies as they see fit as they are not answerable to the public, who they definitely do not serve. Thus they are free to promote anti-democratic policies as good for us. A good way to gauge which side in a conflict is more benign is to watch which way the refugees flee. It was interesting to read the history of the firm that the author is a board member of... conflicted interest anyone? South Korea and the Republic of China (Taiwan) both enjoyed rapid economic growth and became developed economies under their respective authoritarian government. They managed to transform themselves into constitutional democracies and preserved their social wealth. The People's Republic of China, on the other hand, is quickly losing the ability to do it. My greatest worry is China may eventually become another supernova in Asia, just like the Imperial Japan used to be. And we all know how it played out in the 20th century. I think its the right of the western democracies to protect their economic fortunes. The flood of chinese originated money that was inflating asset prices to dangerous and unstable levels was economic weaponisation and nothing less. No one wants to talk about that because they were too busy getting rich off of it, but the risks of catastraphic damage was too high to tolerate risking any longer. I've often said that the next major will be fought on the economic front instead of the military front. Some skirmishes, even battles, have been underway for quite some time now. China asymmetric export vs import is one, their clear disregard for respecting foreign IP is another. The Chinese communist government regime is an evil enterprise that will happily torture, imprison and murder their population to further their own power. Witness imprisonment and murder of 10's of thousands Falun Gong supporters or locking currently at least 500,000 Uighur Muslims in North East China. They have almost 200 million surveillance cameras in operation in China so they can track and identify their citizens and use this as repression tool with their social credit system; they are even exporting their tools of repression to like minded countries. Why any country would share data with them is vry poor when consequences can include torture and imprisonment. NZ government should stop this immediately and recognise the Chinese Communist party for the evil murderous regime it is. If you want to find out how China operates in NZ then google the paper by NZ academic Professor Anne-Marie Brady. This paper documents in detail how China uses political influence in NZ including by spying on NZ citizens ex China and infiltrating various cultural organisations. Its a must read if you want to understand the depth of Chinese covert influence already in NZ.